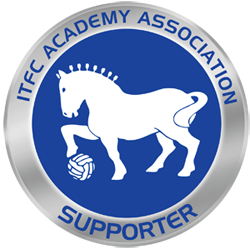 In an effort to avoid your disappointment, Ipswich Town Football Club will not invite a player in for a trial unless one of our scouts has seen him play and thinks he is of the required standard. Our scouts continually watch the best standard, and teams, of football in their allocated areas, and they will only recommend a player for trials who they feel has a high level of all-round ability, along with the attributes required to become a professional footballer. Players should be playing regularly for a club. Players aged 16-18 should be playing at a competitive standard (we would suggest at least semi professional non-League football). You should also hold a British or EU passport, or have ‘leave to remain’ in this country. If the above applies to you, then please fill in your details below to contact the academy scouting department.